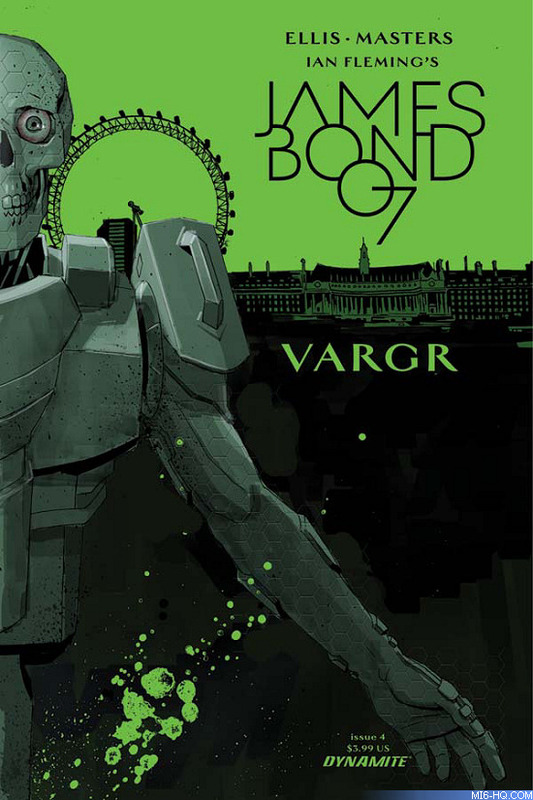 Dynamite Comics launched the new James Bond comic book series 'VARGR' on November 4th with issue one of 'VARGR'. Here is the first look at the cover artwork for issue four, again by artist Dom Reardon, which goes on sale in February 2016. James Bond is alone in Berlin, with nothing but the clothes on his back and the gun in his hand. When help is offered from an unexpected source, Bond has no choice but to accept it - even though it may guarantee that he doesn't live through the night. Dynamite Entertainment proudly continues the first James Bond comic book series in over 20 years!